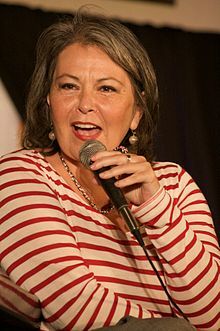 Roseanne Barr, who you might remember as the wise-cracking mom from the hit sitcom "Roseanne" (1988-1997) has announced that she is running for the Green Party's presidential nomination. Her paperwork has officially been submitted in time for the Green Party to select its candidate at its convention in Baltimore this summer. "I am no wing. I am an American," she said. "I believe in people-ism. Solutions that work for everybody. I think we should stop dividing ourselves and get food to the hungry and decent food to people all over the world. Clean water. Decent fuel that doesn’t poison us. We're so smart. We can regenerate limbs with stem cells. We can grow safe and good food and get along."